Music never happens much and it never gets boring. Here is a selection of the best music sites on which you can listen to hundreds of your favorite albums. Music in the local format is a thing of the past. Considering the development of technologies in the field of mobile Internet, the future is definitely behind streaming music services. Potentially, in the pocket of each of us already we have millions of tracks, for an access to which you only need to download the right application and. 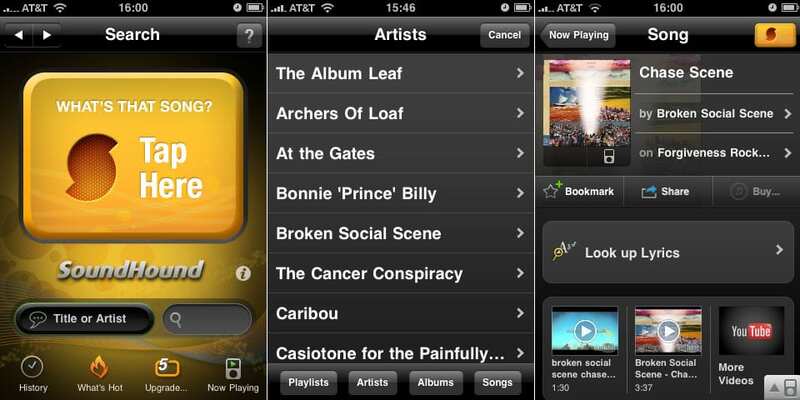 Next, we’ll look at several options for how you can listen to music online on Android and iOS devices. 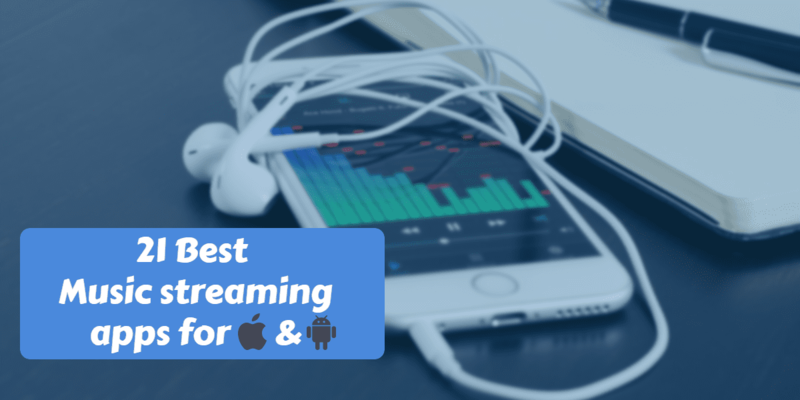 So check our list of best music streaming apps for Android & iOS. If you have an Android-smartphone, then it probably already has the Google Play Music app by default. 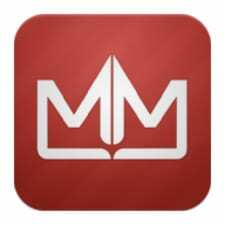 If you do not already know, you can use it not only as a player for your music library on your smartphone. 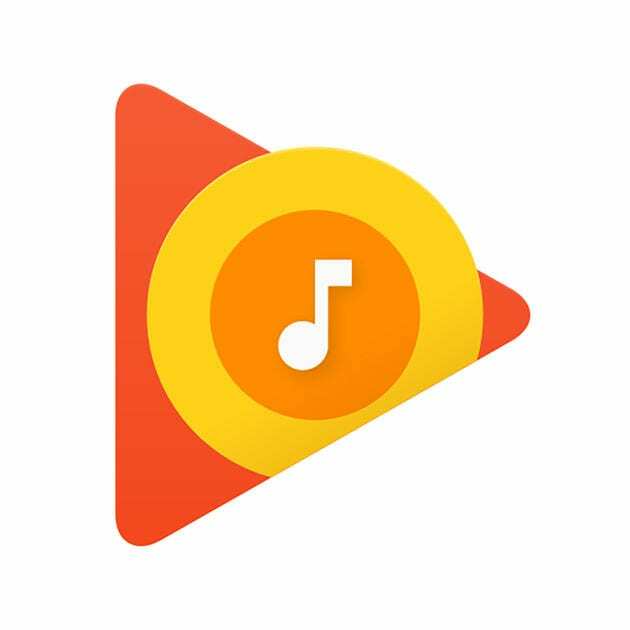 Google Play Music is a “cloud” service that allows you to store up to 50,000 songs from your own online library of music and get an access to it via the Internet from any device with an account. 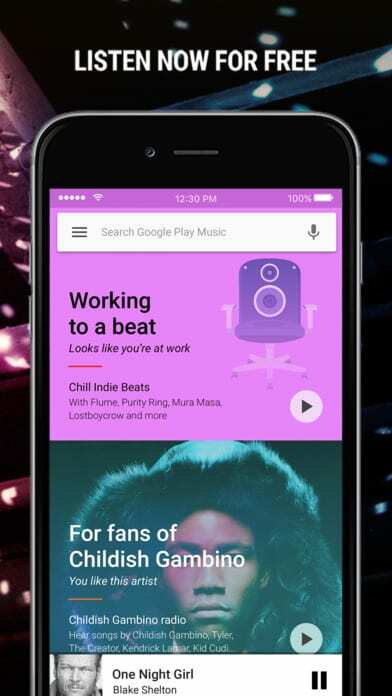 In addition to its own music, you can also listen to the content on Google Play that Google sells or offers free of charge. The first 30 days or 60 (both promotional offers are the voice of Google at the same time) are for free. 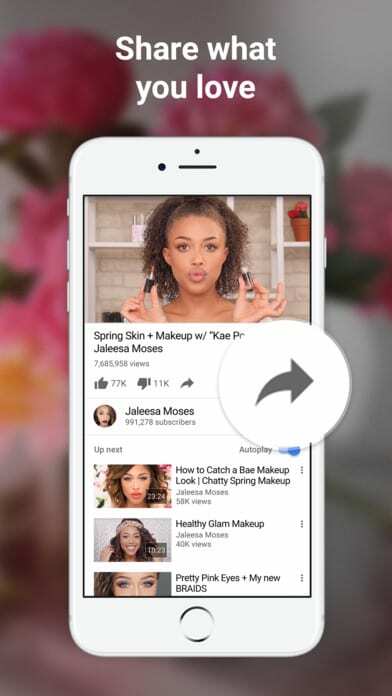 And in the US, where competition for the user is traditionally higher, Google has already offered a free version of the service with advertising. Songs in the service are stored in a MP3 format, 320 kbps/sec. Also, Google Play Music is available for iOS. 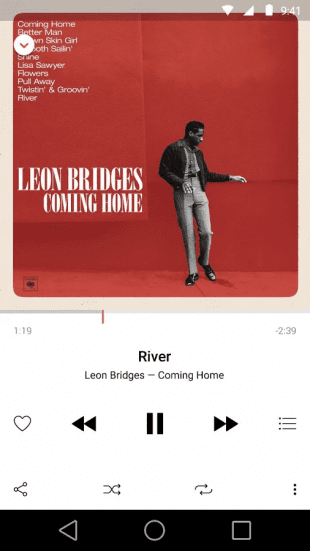 And the most unexpected turn – music from iTunes can be synchronized with a Google account. 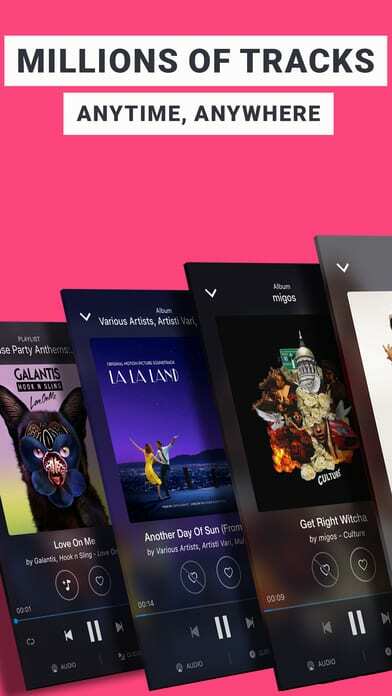 Deezer is a streaming music service, available also in two subscription options – free and Premium. In the Deezer library, there is music from the giants of sound recording EMI, Sony, Universal Music Group, Warner Music Group, and the audience exceeded 16 million. 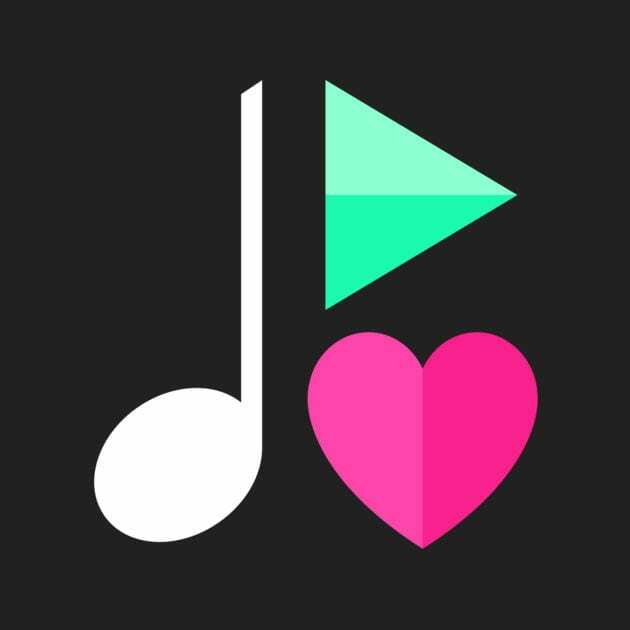 To start working with the app, the user will have to share his musical preferences (among them there is even “children’s music” and music from films), put “likes” or “not likes” to several proposed tracks (it’s a pity that there is no “such” button, most of Deezer’s evaluative compositions fall under it). After such a short acquaintance, the user will have at his disposal mixes and playlists, as well as several recommendations albums. Profit! 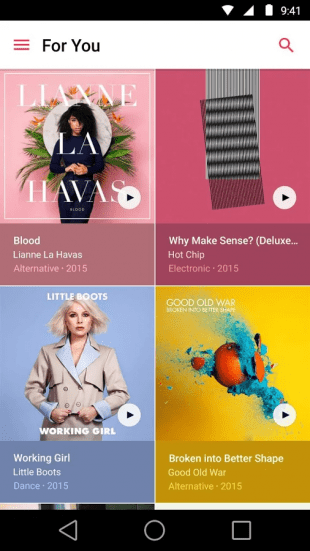 You can try premium-Deezer format within 30 days. By the way, music with the tag Deezer can be listened to on the ubiquitous “old man” Last.fm. 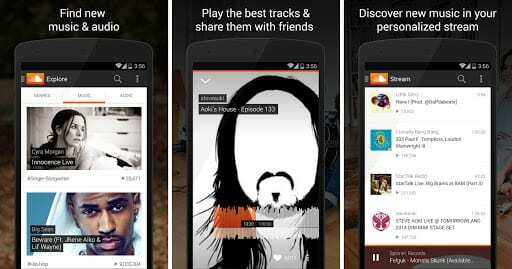 SoundCloud would be a simple and inconspicuous service for streaming listening to music with a beautiful design of the application, if not for its feature. There is the music of young performers, gaining popularity. If you are not enough that you already have on the market, you want to always be in a trend or just happy to support a novice performer, then be sure to put the application SoundCloud on your smartphone with 3G. Choose interesting music directions, themes – and forward. Do not forget to put the likes to your favorite pieces, make up playlists, comment on them, repost and that’s all. 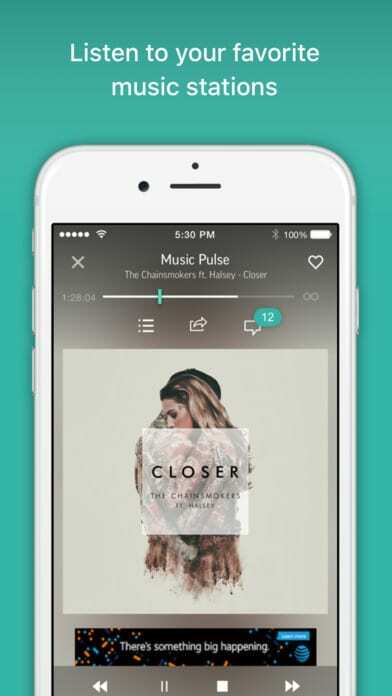 8tracks positions itself as a radio with playlists composed by people. In fact, here a large library of music is collected (in free, by the way, the format of consumption). To choose from it something under the mood can be done by using tags that characterize the direction or occupation, perfectly combined with a selection of tracks (for example, for work, school, sleep, etc.). Playlists are collected by the users of the service – this is its chip. To be honest, it’s completely for an amateur. It is better to trust the taste of professionals. By the way, the 8tracks service can be used by musicians to promote their new products. Actually, why not to use YouTube as an application for listening to music online? Especially not so long ago there a corresponding tab appeared on which clips and compositions of famous artists were collected. The library of tracks, if one can call it so, is quite extensive. 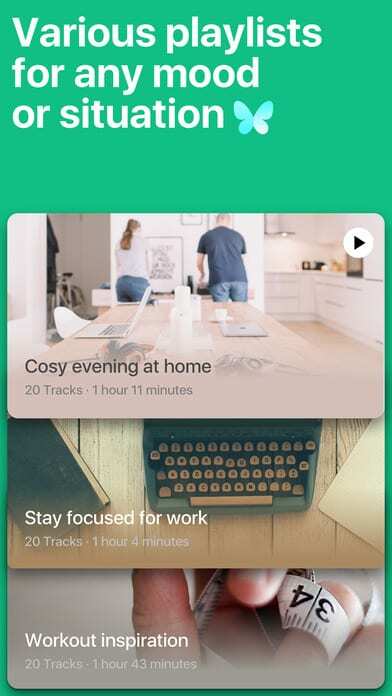 You can even create playlists and share them with friends. 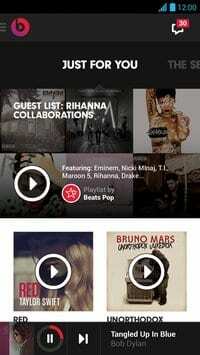 Songza – this application is just created for music lovers. Is your playlist already boring? Do you want something new or just good music for every day? This program is for you! Yes, you have seen many different analogs to this application, but none of them had such a range of possibilities and a base of songs, except that Shazam. 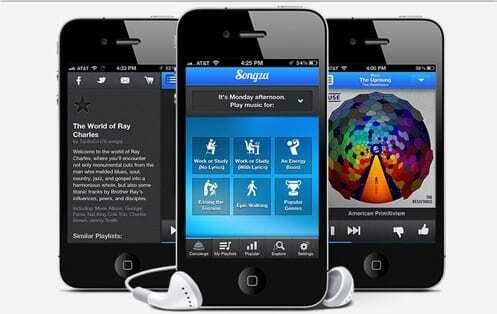 The Songza application will help you create your own playlist, accumulating various compositions. Put the music in the mood. While playing sports, you can choose music for training, and in general, this program will provide music for any occupation, whether it’s driving your car or the usual strolling of a dog in the park. Moreover, there is a convenient navigation on the tags, which will make the search of the category, genre or artist more interesting for you even easier! The design of the application is made in light blue tones and is pretty intuitive, you will not have the navigation problems. In general, the application is an excellent entertainment for every day, which will brighten up your everyday life, allow you to relax at home or even fall asleep to the pleasant sounds of the surf with a selection of “at night”. Pandora Radio is one of the best apps for connoisseurs of good music. The program provides excellent tracks to owners of smartphones and tablets. 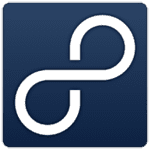 Thanks to the plugin, it’s much easier to find your favorite music. You just need to enter the name of the artist or the name of the song, the preferred genre or composer. This minimum of action will provide you with a personalized radio station on which your favorite songs will sound. What could be more desirable? On the personal account, you can create about 100 individual stations, where there is the selection of music for 450 parameters. This is the limit of the dreams of true music lovers. So take advantage of a unique opportunity. 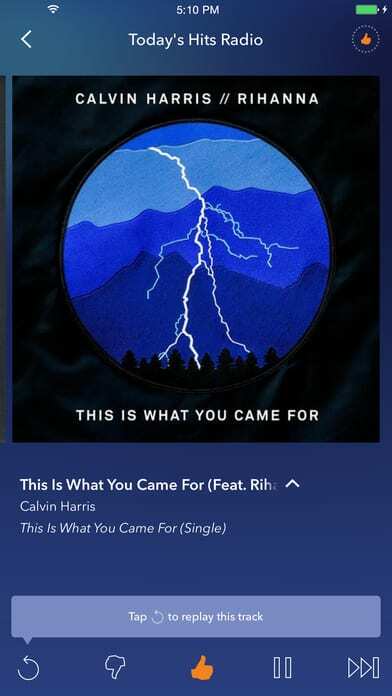 Convenient Pandora Radio interface, a small amount of consumed traffic and the optimal combination of operating parameters will lift the mood and charge positively. 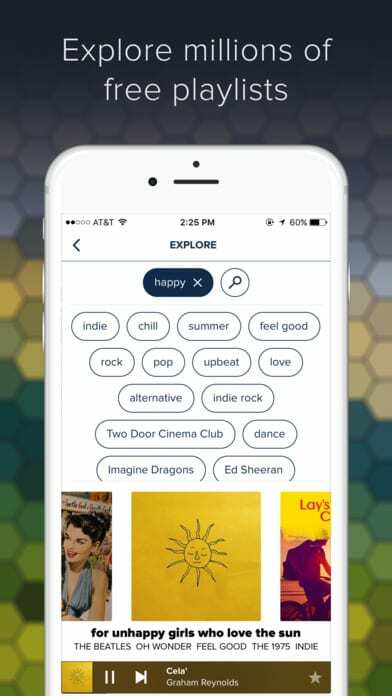 Never before the search for your favorite music has been so simple and accessible. 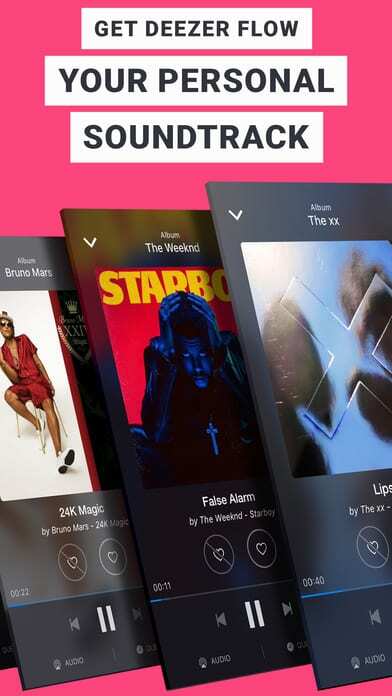 Spotify is a client of one of the largest streaming music playback services, which makes it possible to comfortably and, most importantly, absolutely legally listen to the music of your favorite artists. The service library has more than thirty million songs and is constantly expanding. 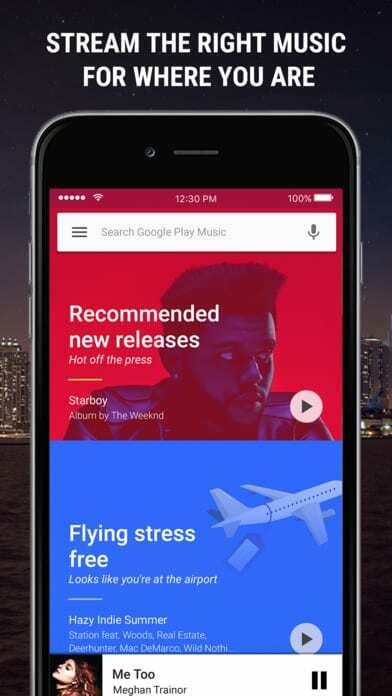 In addition to the standard search, you can view music collections for different moods, have a radio for different genres, and there is an advanced recommendation system. 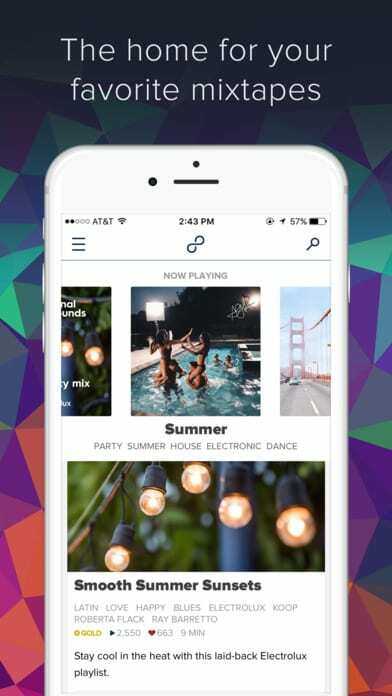 Users can add music to “Favorites”, compose playlists and even share them with the community. The structure of the client is very similar to that of the iTunes client. In comparison with the last, Spotify works much “faster”, practically does not load the system and does not pester the user with constant updates. 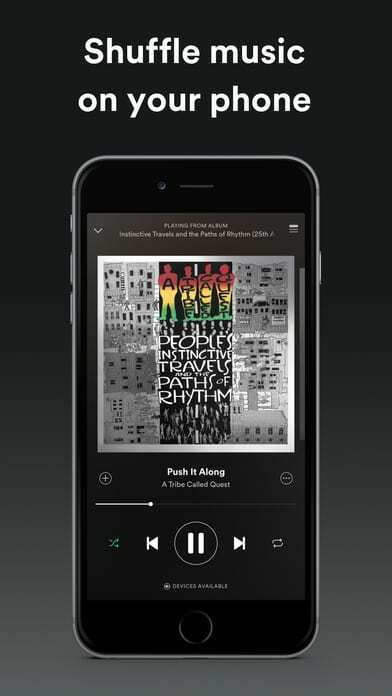 Spotify offers two subscription options: Free and Premium. The first, as the name implies, is free, but it forces users to be content with the “cut-down” sound quality, as well as to watch and listen to advertisements. Premium-users are deprived of such “joys”. They also have the ability to download music to the smartphone’s memory and listen to it offline. 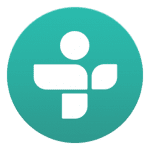 TuneIn Radio is the largest base of radio stations, including FM/AM and the Internet stations, assembled by categories, countries, and style. Superb quality, convenient control, a rich set of settings and functions for comfortable listening to music without unnecessary conditions. Music, shows, TV shows, sports, cooking, nature … any preferences and channels will be available in an instant, of an excellent quality. 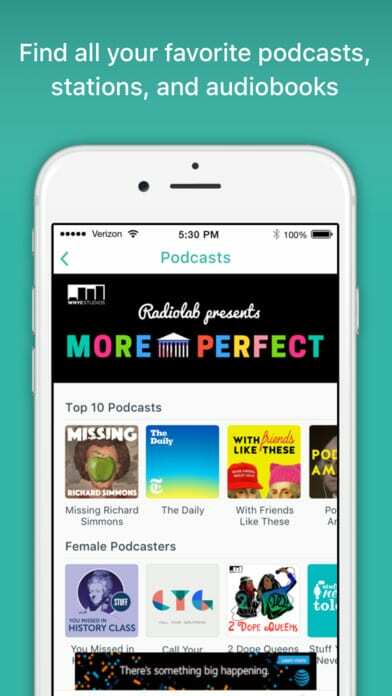 Unlike other programs of this class, in the application TuneIn Radio, there are more than 100 000 radio stations for every taste. Apply filters by region, class, style, set special waves and scan in automatic mode. Even if the favorite wave is not found in a particular place, you can use the Internet, where all the stations of the world are assembled, in excellent quality. Do not part with the radio for a moment, discarding all unnecessary applications that duplicate functions. Here you have music, favorite shows, important first-word statements, the ability to listen to live radio from different countries, create a personal collection and a list of selected waves. You cannot find a more advanced radio, with a completely free management and listening concept. This solution absorbed all the main features of the above-mentioned streaming services. 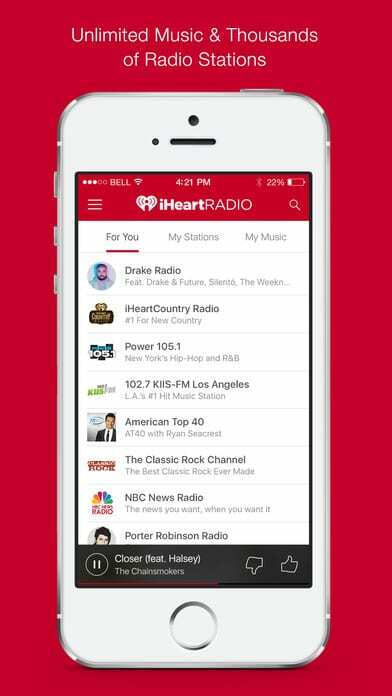 Firstly, iHeartRadio has an access to radio stations. Moreover, almost all of them are absent in TuneIn. Secondly, in the application, you can create playlists for a special mood or activity. Thirdly, in iHeartRadio, there is an opportunity to make radio stations on the basis of separate performers and their songs. 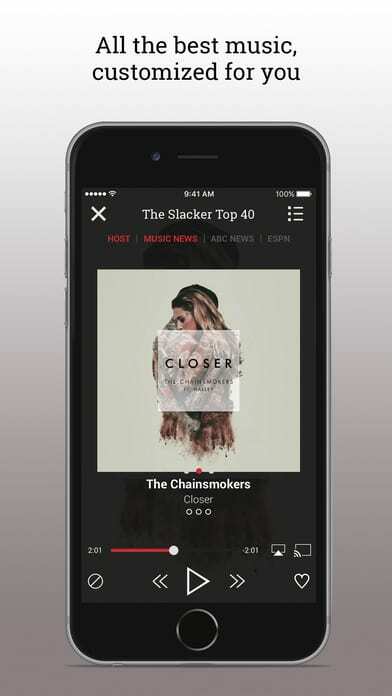 Slacker Radio – another popular service, though not so much on the ear among others. It boasts a free subscription that includes music, shows, comedies, sports and other content. 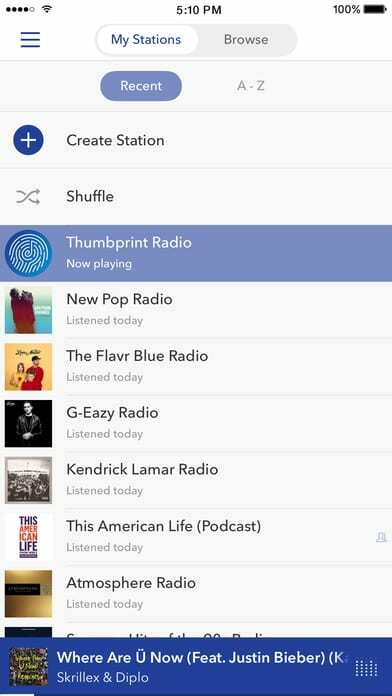 Like Pandora Radio, there is also support for cross-platform, as well as the opportunity to create your own radio stations or listen to supervised playlists. 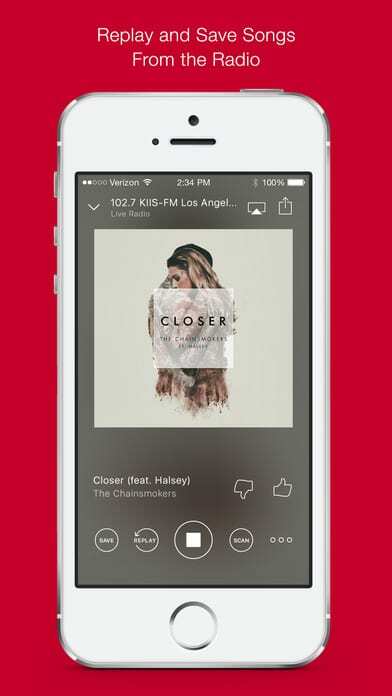 List of hundreds of the best radio stations, carefully selected by music experts. the intellectual system of musical recommendations. Automatic generation of a playlist for each occasion. New songs and artists every day. 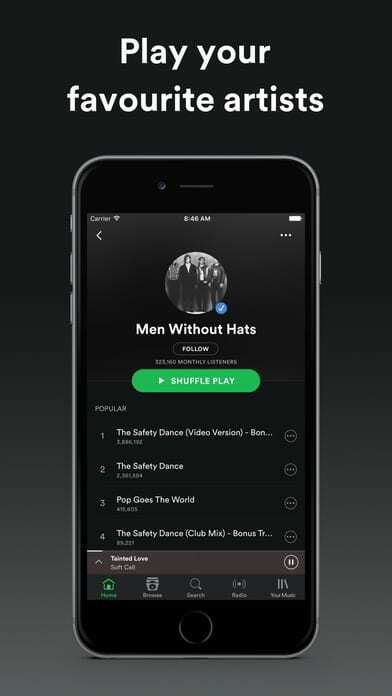 Create a unique, playable playlist based on user preferences. The choice of the best songs, artists, and channels. Apple Music is a music streaming service that provides an access to millions of songs from the iTunes Store. 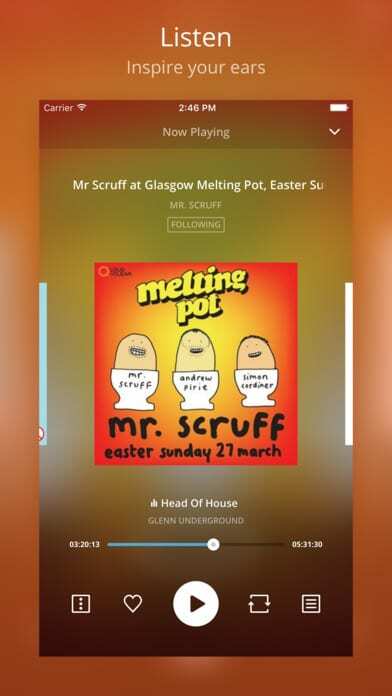 In the framework of this service, the radio station Beats 1 also broadcasts, which, despite its young age, has already acquired a cult status among music lovers. 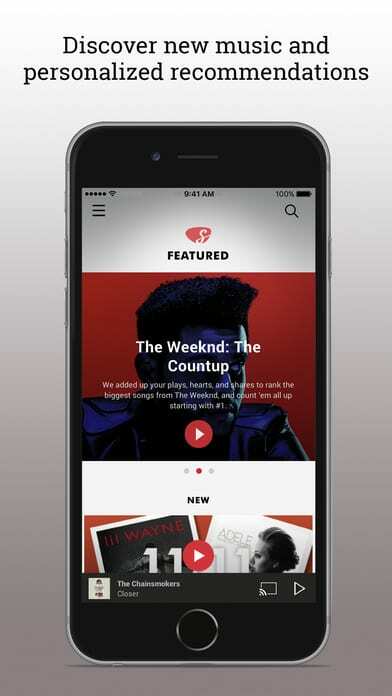 The Apple Music app for Android allows you to access more than 30 million music tracks, listen to specially created playlists based on your tastes, the first to learn about the most high-profile events of the entertainment industry and the release of new albums from your favorite artists. In addition, genre radio stations, copyright radio programs and much more are available. And most importantly, that all new users of the service company Apple are given a whole three months of free listening! Last.fm – is an excellent program that will come to taste to all fans of music. With its help, you can find information about any group in the world, as well as find out the best compositions of this group and find similar artists! 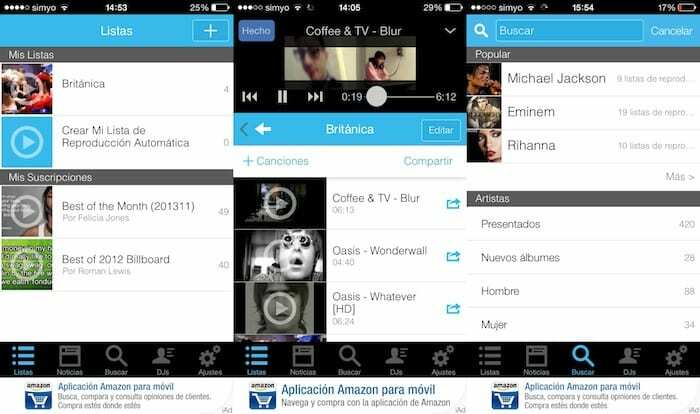 The application allows you to search and download music to your phone from open source. 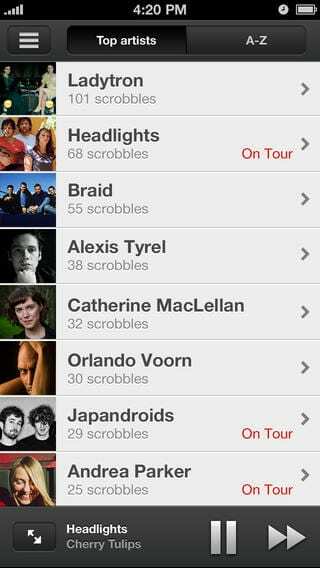 Last.fm has a lot of tracks available for download, so the application will be useful. Search by tags, artists, albums, tracks. Viewing information about the artist, album top, tracks. Preservation of a track on an SD card with the possibility of further listening. Last.fm automatically updates the information on your profile and registers music in it that you listen to on your computer or in a player such as iTunes or Windows Media Player. Use additional opportunities to listen to music, learn what others listen to, watch your musical history and share musical preferences with your friends. 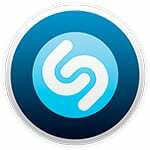 Shazam is another paradise for a music lover. “More than 10 million” users around the world cannot be mistaken. 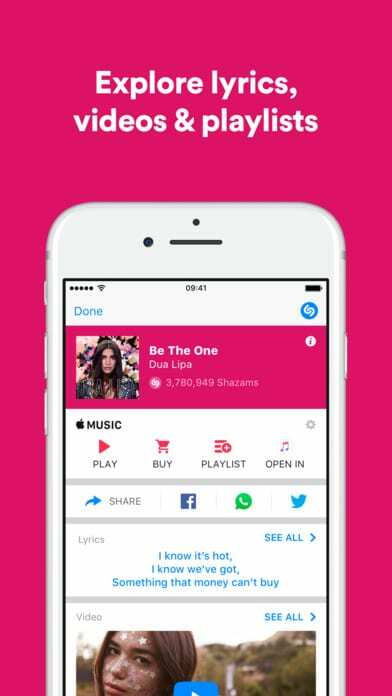 The service can search the Internet for the name and artist of the fragment of the music that is playing at the moment, add searches to Spotify and Rdio, send you updates from the artists you like, recommend something based on the activities of friends from the social networks in Shazam. Previously, all this could be enjoyed only on Wi-Fi, at guests or in institutions, now it is possible even via mobile Internet in a taxi or other place not covered by wireless access. 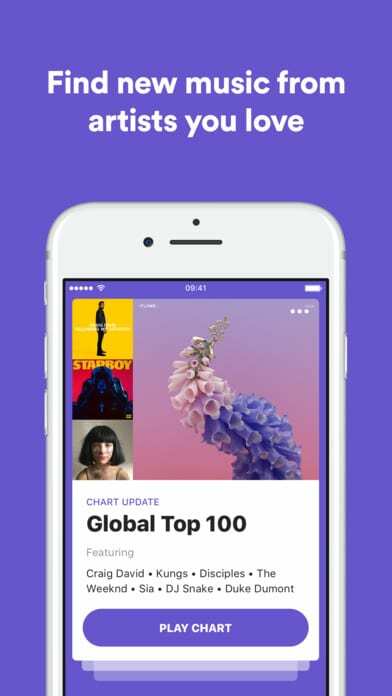 SoundHound is the app for music search for phones and tablets, which became a godsend for the millions of fans of music around the world. The principle of the music search is quite simple. It is enough to bring the phone closer to where the sound comes or sing a part of the song and the program will give you a full report — that for an artist, song title and more. Installing SoundHound you learn a lot about the world of music. 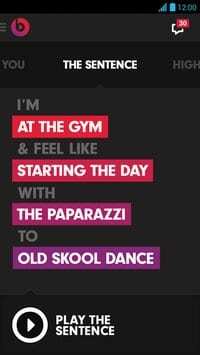 After the app will find the song, in addition, you can read the lyrics, learn the name of the album in which it is located, watch the video clip, see photos. In addition, you can browse world music charts, listen to preview songs, buy songs. You can learn all about your favorite band or an artist, read a biography, browse similar groups or singers performing in a similar style. 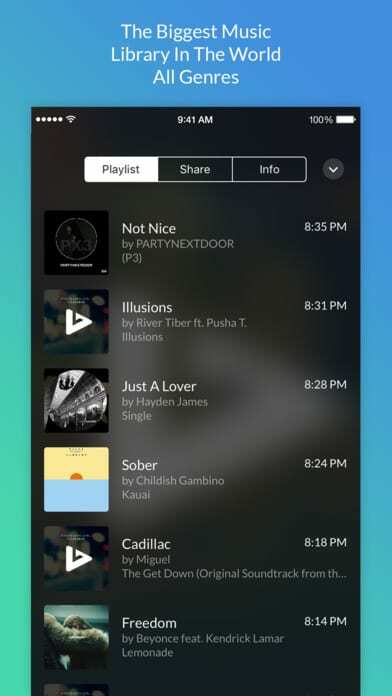 Thanks to Sound Hound, you are able to meet fans of your favorite artists, add songs to your favorites, share found music with friends via email or social network. MixerBox is a very interesting application that allows you to create interesting playlists through your own service. All videos are uploaded through the well-known video hosting YouTube. The task of this application – quickly and accurately provides the user what he wants to see. Thanks to its built-in options, finding a lot of useful videos here is very simple, so a huge number of users prefer to access this program. They expressed only positive opinions about this program, so we can safely advise it to you. Due to its unique functionality, the program has become widespread among mobile device owners. After all, you no longer need to independently select dozens of videos on a specific topic, now the program will do everything for you. As a result, MixerBox is a very convenient application that will allow you to quickly view interesting videos. Also, she will pick up for you a whole list of what you have not seen and will please with her speed of work. You are one step away from downloading your loved mixes to the phone. Unlimitedly listen to mixes in streaming mode. Impart music status with friends using different social networks. 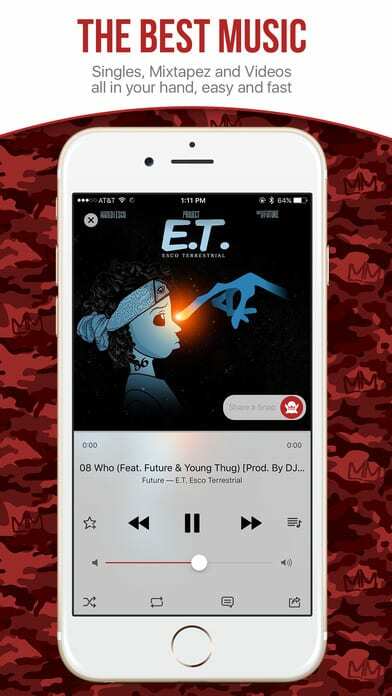 There is the presence of My Mixtapez Radio. 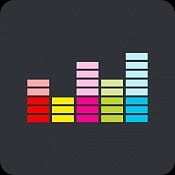 Listen on the go the newest and coolest music with the help of this app. Upload and listen in streaming mode to the bands you like, best performers, DJs, and producers. Share the mixes on the social networks – it’s quick and easy. Publish the loaded entries to Facebook, Twitter or Instagram – and chat with friends or with the performers themselves. Finding new cool tracks is now easier than ever. A powerful search function will find specific mixes, artists or groups. 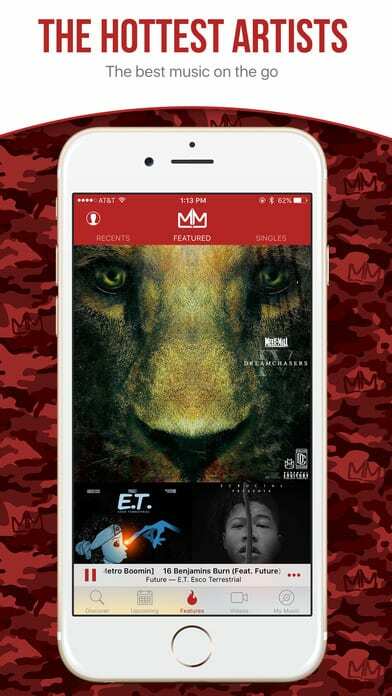 No matter what you like more – rap, R&B, hip-hop or newer trends – all this is on My Mixtapez. One of the few of our services that could, with proper promotion, make real competition to the leaders. Zvooq looks great, sounds good and timely informs about new high-profile releases. Visitors even without registration have the opportunity to listen to the richest collection of music records of the service, which is updated daily with new albums. In addition, you can find genre channels, various charts and just playlists for different moods. 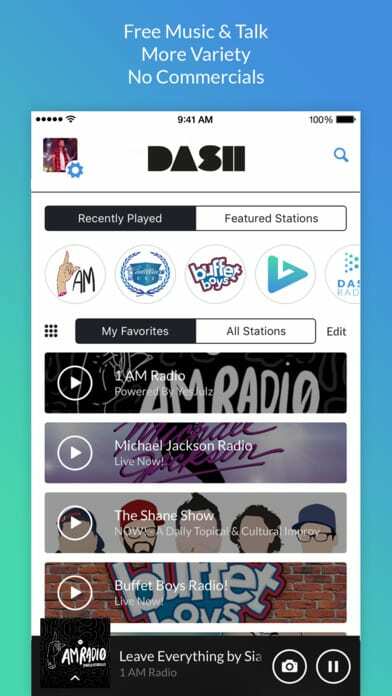 DashRadio is an online radio station that broadcasts around the clock. You can not listen to any single album or music track but you can enjoy the endless sound of music of your favorite genres. The choice of stations is very large and they cover almost all musical directions. If you spend a few minutes registering, you can save your favorite stations for quick access to them the next time you visit the site. 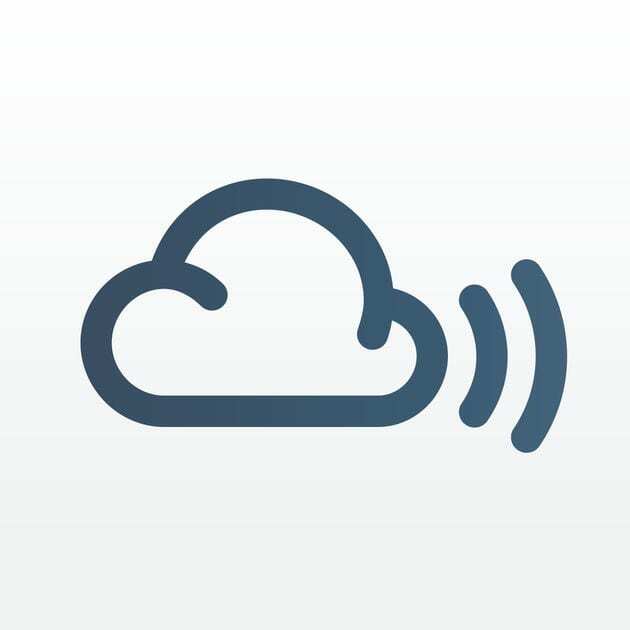 Mixcloud is a free music cloud server, with which you can listen to music collections of DJs from around the world and upload your favorite tracks. 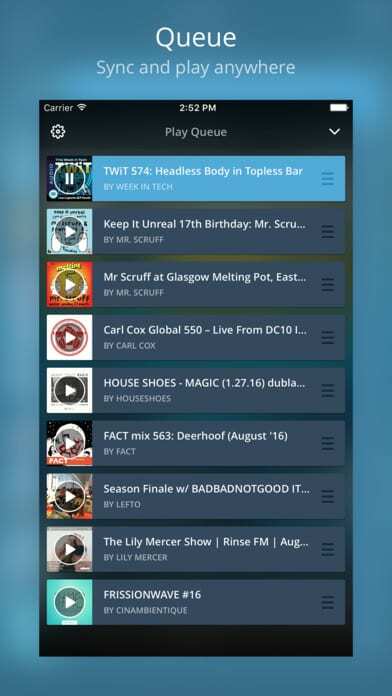 The application Mixcloud serves to work with the online service. Thousands of music collections are collected here, in turn, divided into 39 categories – from classical, electronic, rock and pop music to news, articles about nutrition and humorous programs. Each collected mix has a rating system, information on the number of plays and comments left. If you like a selection of a DJ, you can subscribe to his channel and follow up on new works, as well as learn about his musical preferences, signed channels, and favorite collections. 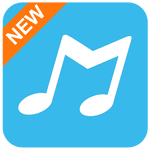 Unfortunately, in the application there is no possibility to add your own music, this, as before, can be done only through the site of the program. The selected assembly cannot be rewound – just listen from the beginning to the end, although you can reset it to the beginning. Also, there is no possibility to download music to the device. Hundreds of thousands of music collections that are constantly updated. Listening to music is absolutely free. 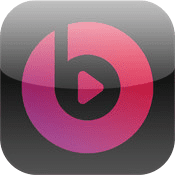 Beats Music – a new advanced music service for the Android and iOS operating systems, allowing you to get the right music in the shortest time. 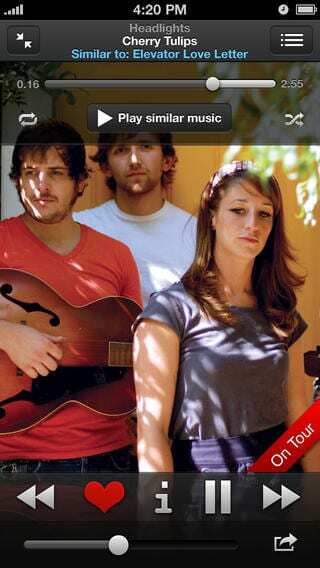 Thanks to the advanced filtering system, on your mobile device you have only the best of the world of music. 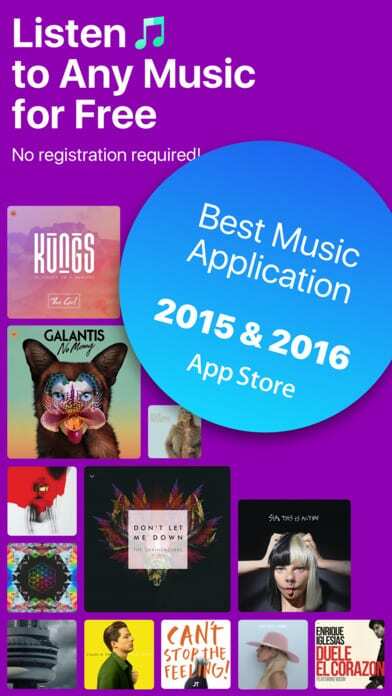 To date, the collection of applications includes more than 20 million songs. Listen to them online or download to your smartphone. Thanks to the built-in widget, you can view all the latest and up-to-date information about artists, concerts and the most interesting news in just a couple of touches. The program is easy to use, has a clear interface and can significantly expand your media library.